William George "Willy" Hughes, rancher, was born in Kensington, London, England, on May 29, 1859. He attended Marlborough College and immigrated to America; he arrived in New York on September 15, 1878, reached San Antonio on the twenty-ninth, and immediately entered apprentice training as a shepherd without pay. 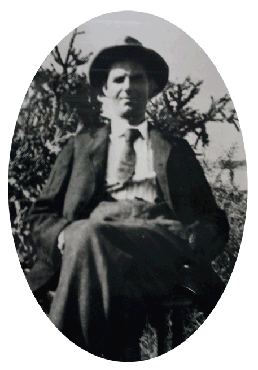 He soon bought 160 acres of land three miles west of Boerne in Kendall County, where, on March 22, 1879, he began what later became a very successful ranching operation. One of his early achievements was to import the superior Oxfordshire Downs sheep and start developing high-quality breeding stock that brought premium prices. Also, through diversification, outstanding management skills, and hard work, he amassed some 7,000 acres of ranchland of his own and leased several hundred additional acres of state school land. Hughes quickly recognized the potential of Angora goats in his integrated ranching operation and was among the first ranchers to bring this breed to Kendall County. He purchased his seed stock from William M. Landrum of Laguna, Uvalde County, who moved to Texas from California in 1883. When President Grover Cleveland persuaded Congress to reduce import tariffs and Australian wool flooded the United States market in 1887, Hughes immediately switched from sheep to Angora goats and mohair production. Another innovative ranching practice he initiated was to buy cheap mustang mares and breed them to his registered Arabian stallion, thus producing a durable, high-quality riding horse that was popular with the United States Cavalry. During the Spanish-American War he trained and delivered hundreds of horses to cavalry units both in San Antonio and at the Mustang Island staging area near Corpus Christi. Hughes married Lucy C. Stephenson on June 28, 1888. They had three children. In addition to attending children and keeping house, Lucy, encouraged by her husband, began a productive dairy business with a herd of registered Jersey cows. The dairy sold up to 400 pounds of butter a month in San Antonio. Hughes founded Hastings, Texas, and became its first postmaster on April 17, 1890. The post office was named for his father, William Hastings Hughes. Hughes helped organize the Hastings one-teacher school in the mid-1890s. He wrote numerous articles and scientific papers on raising and marketing Angora goats. He also collaborated with his famous uncle, Thomas Hughes, author of the classic Tom Brown's School Days and founder of Rugby, Tennessee, in writing letters about his early Texas ranching experiences that were later published in a book, GTT-Gone to Texas (1884). Hughes died in a train accident at Bellville, Illinois, on November 25, 1902, while on his way to show prized Angoras at a northern livestock exhibition. Thomas Hughes, ed., GTT-Gone to Texas (New York: Macmillan, 1884). Winifred Kapper, The Golden Hoof: The Story of the Sheep of the Southwest (New York: Knopf, 1945). Keys to the Past (publication of the Genealogical Society of Kendall County), October 1983.